Royal Porcelain’s high-quality ceramic tableware is the result of special attention to the production process, beginning with the selection of fine raw materials from domestic and international sources. 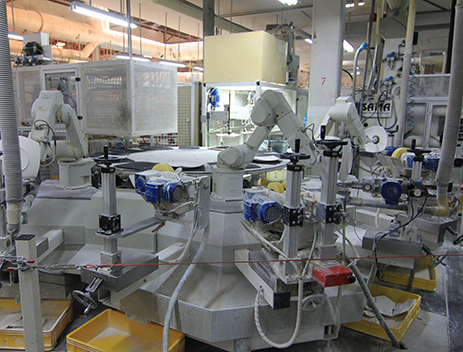 The materials are combined and crushed in a ball milling machine to produce clay cakes, which are then turned into ready-to-use clay in several forms: pug clay, dust clay (also called granulate), and clay slip (liquid form). 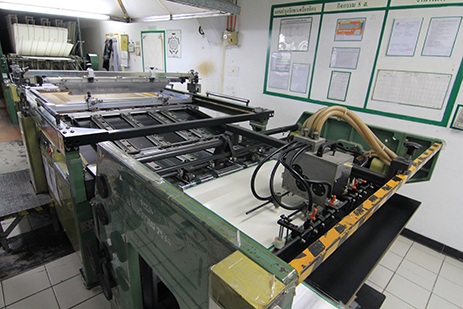 Each type then goes to the forming process, according to the type and design of the finished products required. 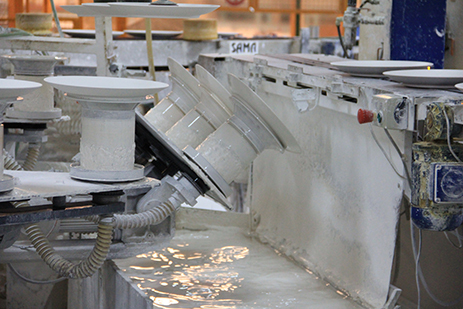 Moulds – We use sophisticated computer modeling software to design and create a cast mould (principal mould), from which working moulds are produced to use in the forming processes. 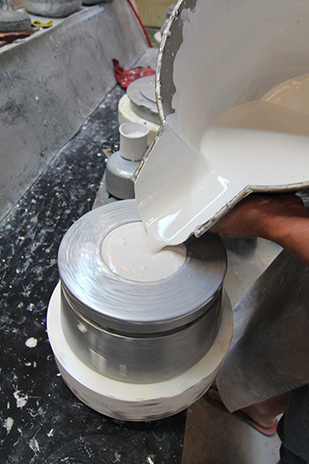 Forming – There are two methods of forming: turning, and casting. Each uses different kinds of clay and produces different types of finished products. 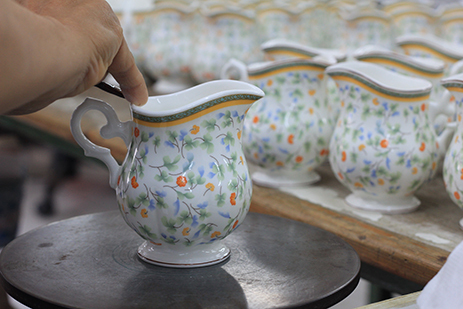 Glazing – Formed products are glazed by either dipping or spraying them, after which they receive a second firing (glost firing). 1. 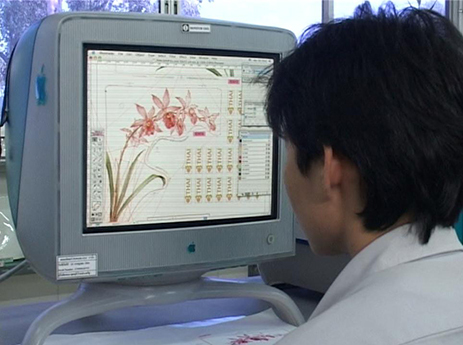 Decal application – this is manually applied directly to the wares to create a value added design to the products. 2. 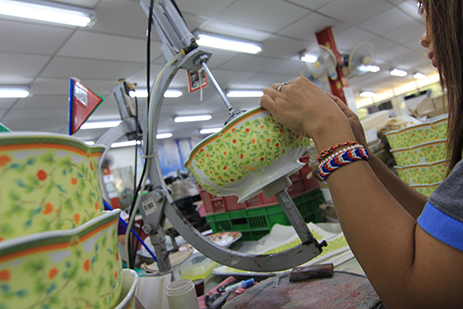 Hand lining – this method requires skilled craftsmanship, especially along the edges of the products. 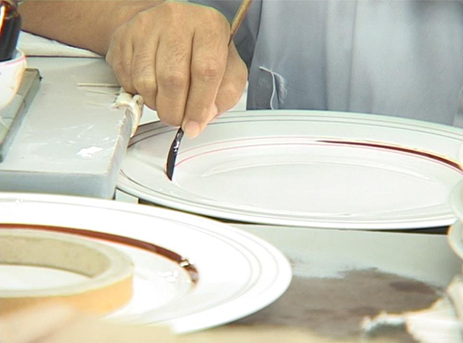 Decoration – Tableware is decorated in several ways: with decals, hand lining, or spraying. Hand lining requires skilled craftsmanship, especially along the edges. 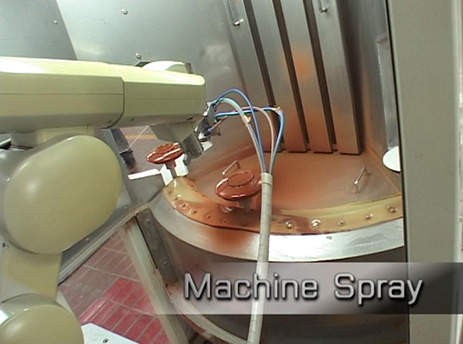 Spraying can be by machine or manually, and creates a smooth finish often used for colourful products. 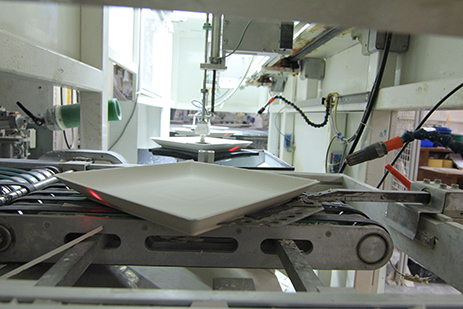 After decoration, the tableware receives a final firing in a decoration kiln.